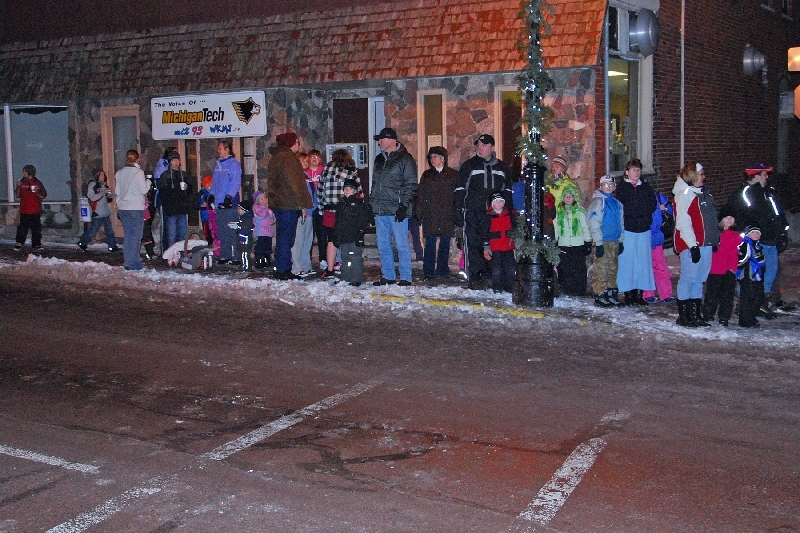 A good crowd is on hand in front of WMPL, to hear outside Christmas music and await the next run of the horse drawn sleigh ride through town. 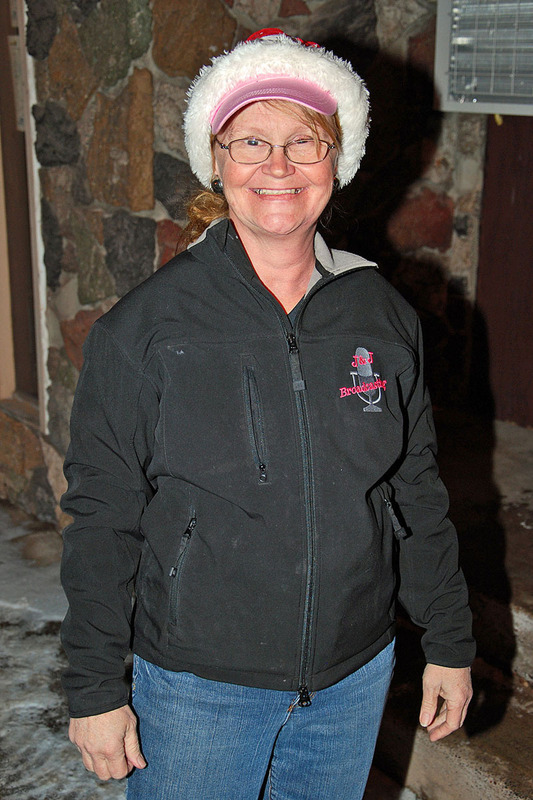 On hand is WMPL’s on-air personality ‘Mary Ann’. 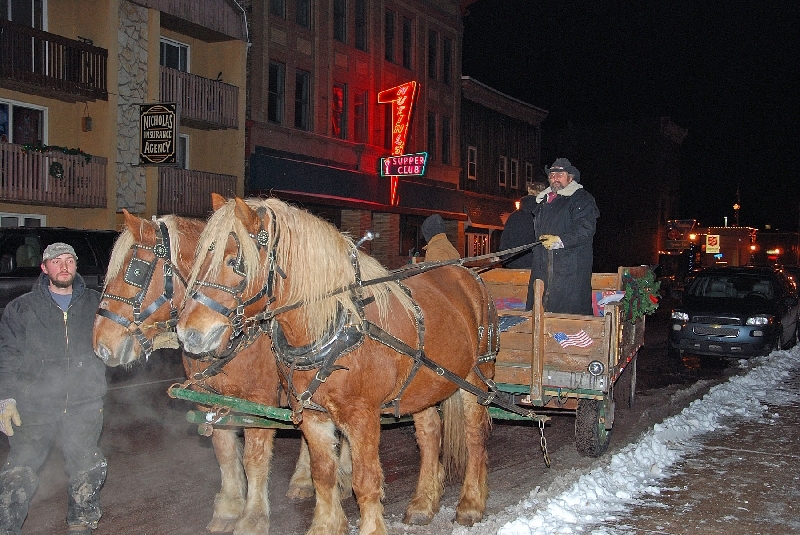 And here comes the sleigh, ALL ABOARD —! With lights flashing, the Hancock Volunteer Fire Department truck arrives at City Hall carrying Santa Claus, to visit with the kids and hear wish lists. 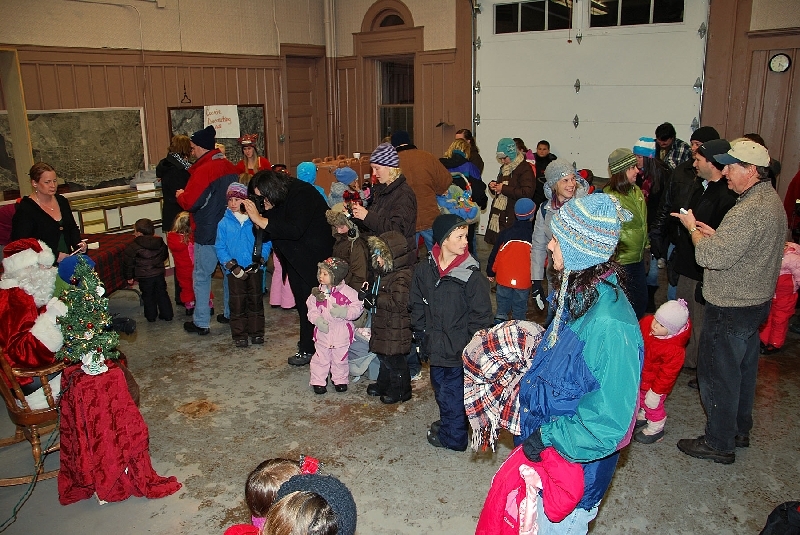 The youngsters can’t wait for Santa to get inside and be seated. 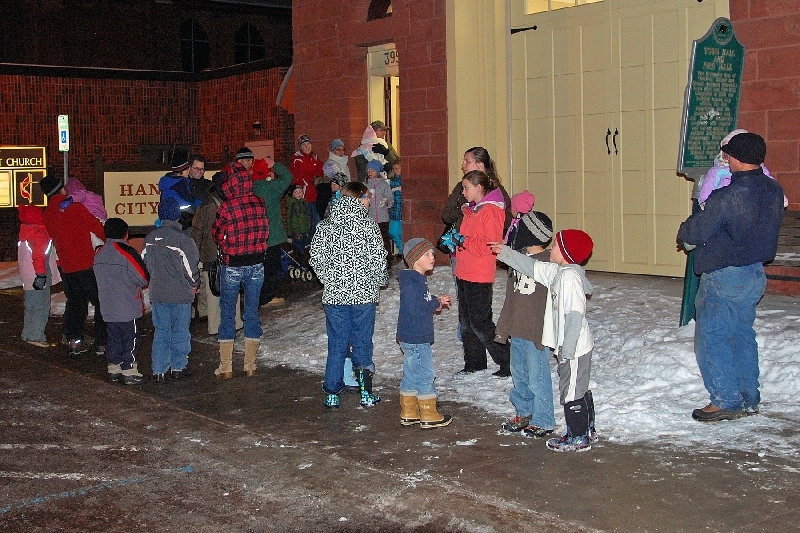 A number of parents and children line up outside City Hall for their turn. 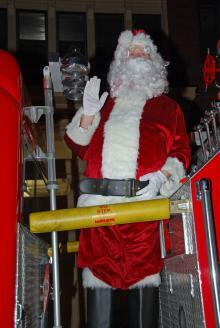 And inside, with Santa and a table of goodies for all, cameras click away. 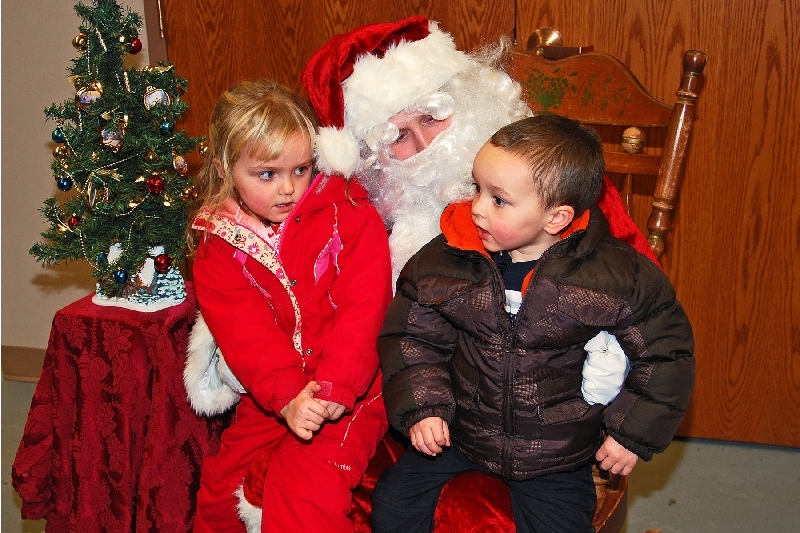 Santa listens to Jada and Mathew Guilbault, whose grandparents are Deb and Rod Guilbault,of Houghton --(parents are Mike and Amy Guilbault"). 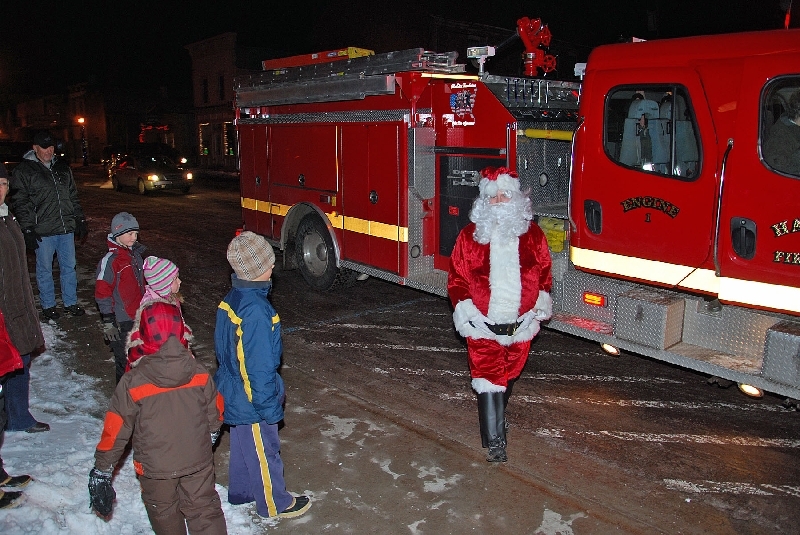 And later on, Santa visited the Hancock Fire Hall to talk with youngsters, and also paid a visit to City Hall to say hello to the Hancock City Council. 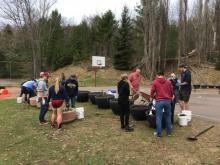 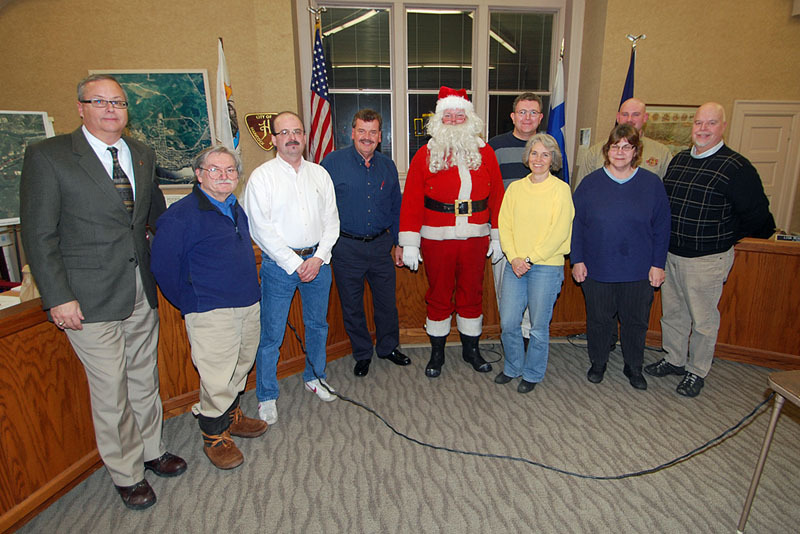 (L) City Manager Glenn Anderson; Council Members John Silvon; & Ted Belej; City Mayor William Laitala; Santa; Council Members John Haeussler; Lisa McKenzie; City Clerk Karen Haischer; Council Members Jerome Moore; and Mayor Pro Tem James Hainault. 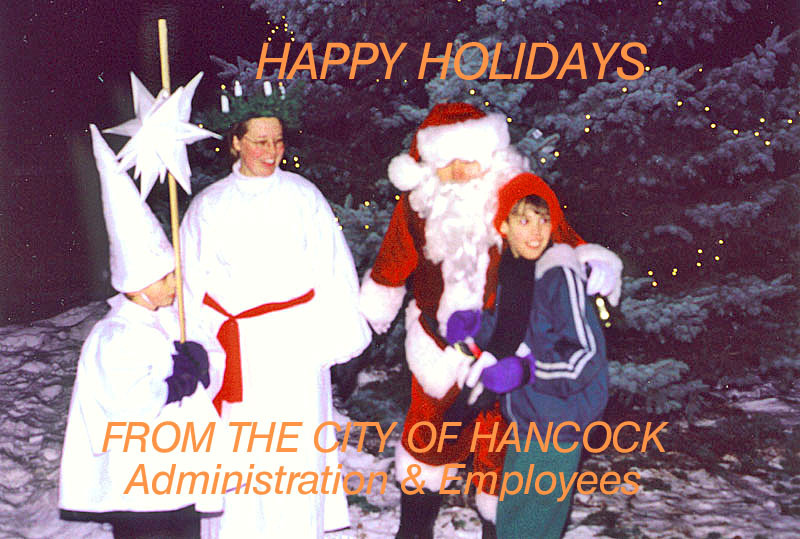 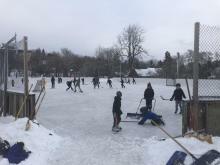 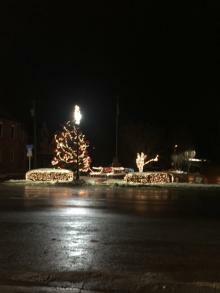 Best Holiday Wishes to All, from the City of Hancock, MI.